A photo of my first Honda sports bike. Japanese import to Bangkok. 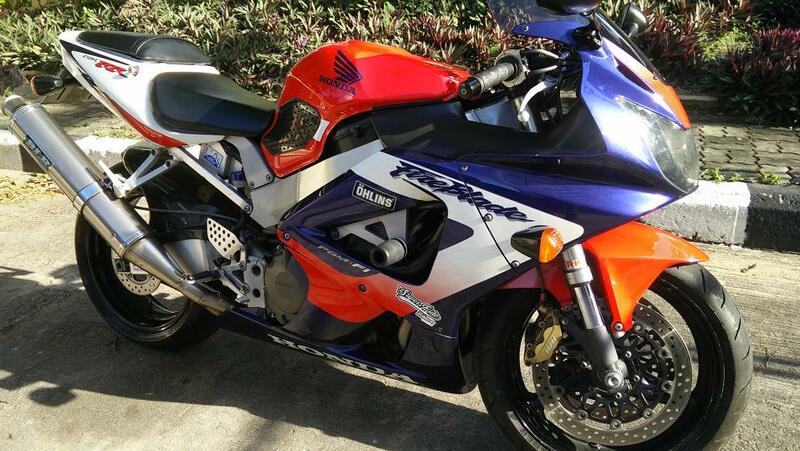 2001 CBR929rr. Love the smoothness and response from the bike. It compliments my other bike the gixxer 1000 K5. Into classic sports bikes in a big way. I was very lucky to find this bike in this condition. A credit to it's previous owner. Quick Reply: My first Honda sports bike.